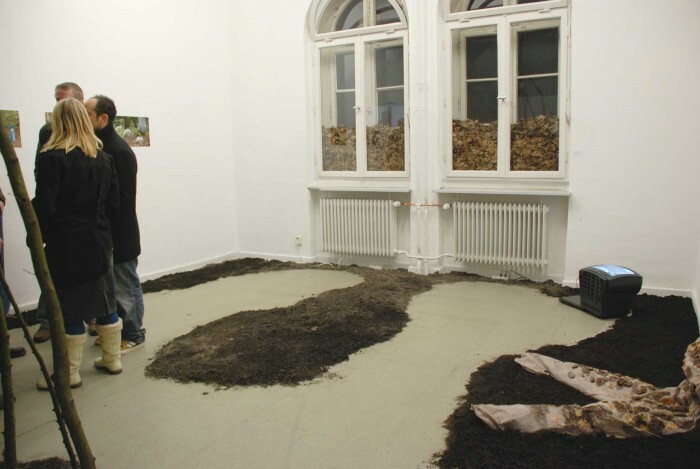 Making territory : MARCELA MORAGA M.
For this installation I reuse the soil which I throwed over Berlin streets in the project “To have feet and not to have soil drew with this soil a way for the visitors, a frontier between them and the artworks, some spaces to stay and some spaces to leave. 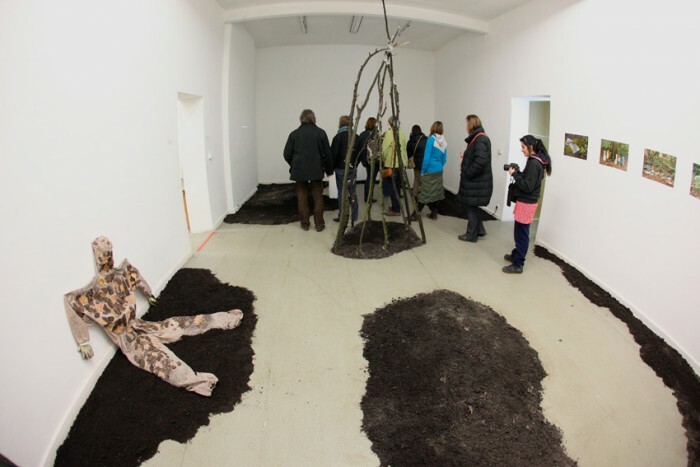 The installation consists of soil, branches and tree leaves, which were located between the gallery windows. At the installation were the video and photos from “Proteccion de los sentidos” and also the video “Walking on four feet”. 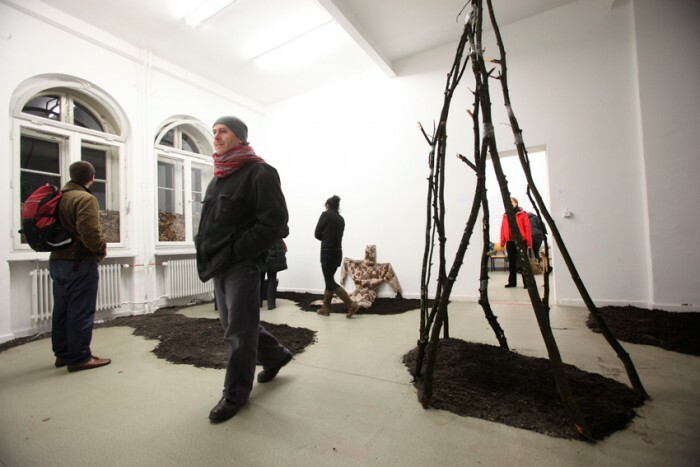 Group exhibition „Caer desde abajo / Nach Oben fallen“ Frappant Gallery.